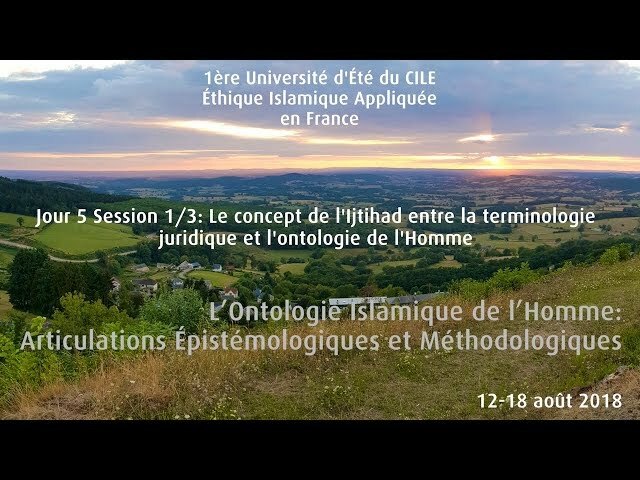 In collaboration with California Islamic University, the Research Center for Islamic Legislation and Ethics (CILE), member of the College of Islamic Studies (CIS) in Hamad Bin Khalifa University (HBKU) is very pleased to host its 2019 Summer School Edition in the USA. It will take place from the 27th of July to the 1st of August in California in sha Allah. This Summer School 2019 is the 10th, part of a series targeting english-speaking people (2017, 2016, 2015, 2014) together with french-speaking people (France 2019, France 2018, Côte d’Ivoire 2017, Niger 2015, Sénégal 2013). From 27 July to 1 August 2019 in sha Allah. In the premises of California Islamic University in California, USA. 200 US dollars including all courses and side lectures. Candidates must cover the costs of their own travel, accommodation, transportation, other meals and other hospitality requirements. Scholarships are available. Please let us know ASAP if you would like to benefit from it during the registration process as they are limited. 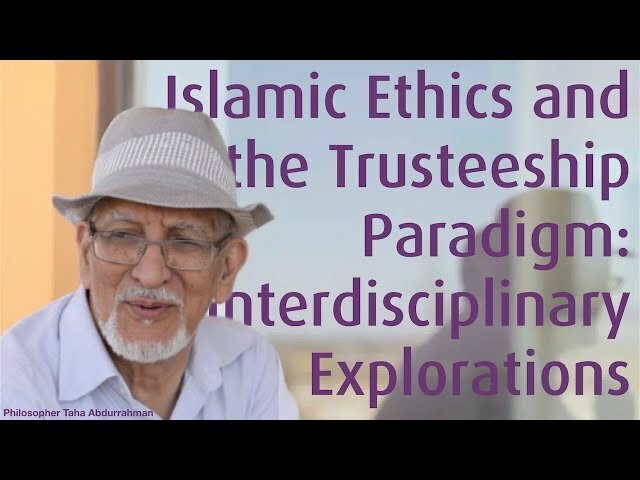 Ethics is omnipresent in the Islamic religious and intellectual tradition. The fountainhead of Islamic ethics, from which all Islamic virtues emanate, goes back to fundamental principle of "Īmān" (belief/faith) in one God. This fact is predominant in both Qur’ān, which recurrently combines between faith and good deeds and also in the Sunna. A relevant example here comes from the Ḥadīth of the Prophet (PBUH): "He who believes in Allah and the Last Day, let him not harm his neighbor; and he who believes in Allah and the Last Day, let him show hospitality to his guest; and he who believes in Allah and the Last Day, let him speak good or keep silent." (narrated by Bukhari and Muslim). Thus, Islam is first and foremost a message of values and ethics, which is why the Prophet (PBUH) summarized his overall message in terms of an ethical mission: "I was sent but to uphold and complement ethical values." (narrated by Ahmed). Toshihiko Izutsu (d. 1993), the Japanese prominent author on Qur’ānic ethics argued that the ethical discourse in the Qur’ān comprised three main categories, namely 1) The verses which refer to the ethical nature of God, which he called "Divine Ethics", this category is addressed by theologian; 2) Those which describe the basic ethical relationship that links us to God, which is the human response to the Divine ethical nature, on the one hand, and to the Divine ethical treatment of humans, on the other. God is of an ethical nature and acts upon us in an ethical way. This carries the implication that we are expected to respond in an ethical way. This second category is thus the reflection of the ethics of God in the human heart. The Human ethical response to God’s attributes and actions is, according to the Qur’ān, both ethics and religion. In this sense, all the concepts belonging to this second class may be described, according to Izutsu, as ethico-religious concepts. 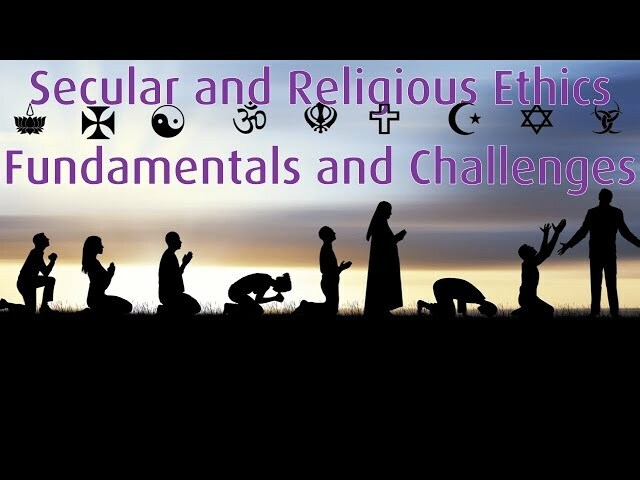 This category is addressed by Muslim mystics (Sufis); 3) Ethical concepts which make reference to the principles and rules of behavior that regulate ethical relations among human beings living within the same community. These, in turn, are the result of God’s ethical treatment of humankind, and a reflection of the ethics of God in human society. Izutsu defined these as “social ethics”, an area that became the specialization of Muslim jurists. Izutsu’s classification mirrors the grand objectives of Revelation, which encompass all its teachings. Those can be pinned down in terms of three major objectives or axes: Īmān, Islām and Ihsān, as described in Islamic foundational texts. 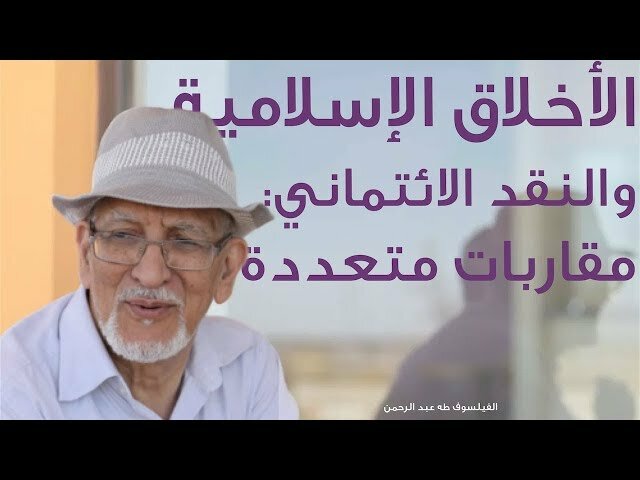 Islam and its intellectual heritage, to reiterate Izutsu, revolve around ethics, because from its first component, "Īmān", which he describes in terms of “Divine Ethics,” flows what he calls “Human Ethics,” viz. the other two components (Ihsān and Islām). From the inspiration of Izutsu’s classification, we can describe Ihsān as "spiritual ethics” or “innate ethics,” and Islām as "applied ethics" or "practical ethics." Divine ethics, that is, Īmān, being either Divine ethical attributes or Divine ethical acts, is a manifestation of ethics as an essence, while spiritual ethics “Ihsān” is man’s spiritual compliance to it and its embodiment, as a recipient. Applied ethics, i.e. Islam, is the process of articulating it as practical reality. Although the message of Islam, as illustrated above, is a fundamentally moral message, Islamic thought has throughout history pushed the moral purpose to a secondary status. The Islamic disciplines, in theology (which is supposed to be a theoretical expression of Īmān), jurisprudence (expression of Islām) and spirituality (expression of Ihsān), did not elaborate enough on the ethical requirements of revelation. 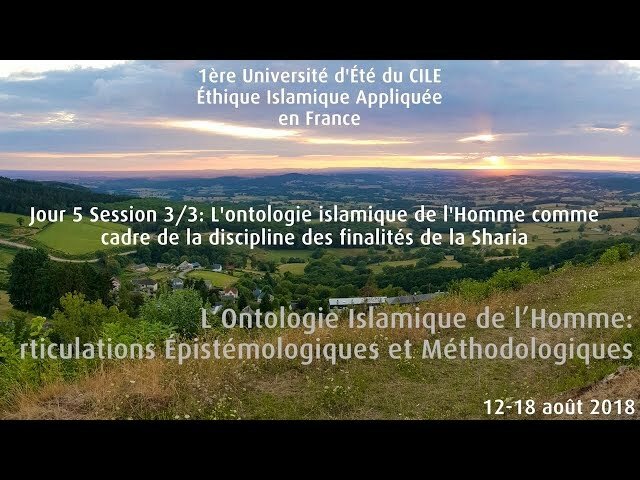 The articulations of “Divine Ethics” did not appear in Islamic thought in a philosophical and epistemological system in which Islamic thought can operate. The requirements of “Divine ethics” in terms of "spiritual ethics” and conception of human nature were not formulated. Furthermore, jurisprudence ended up being reduced to normative legal thinking where no real expression of “Divine Ethics” and "spiritual ethics” can be observed in the elaboration of "practical ethics”. All of this fuels the belief that the revival of Islamic thought in our contemporary reality must be centered on the concept of ethics as crystalized through revelation. 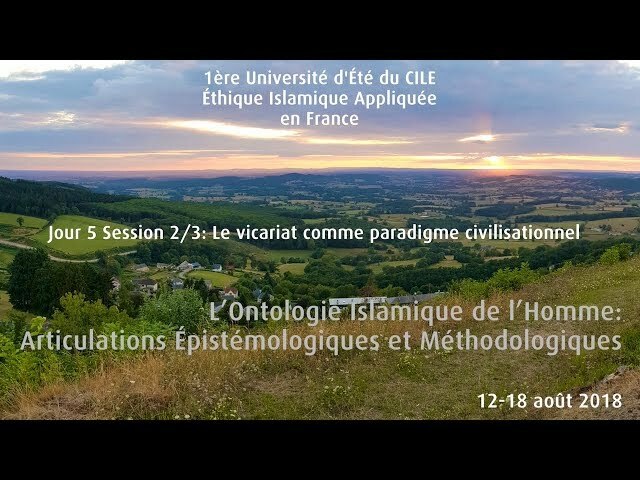 Against this backdrop, the 2019 CILE Summer School in collaboration with the California Islamic University (CIU) is an attempt to explore the possibility that ethics can revive Islamic theology and its epistemological and methodological requirements. Those insights will then be explored through three applied areas, 1) Islam Bioethics, 2) Gender Issues 3) Migration and Human Rights.